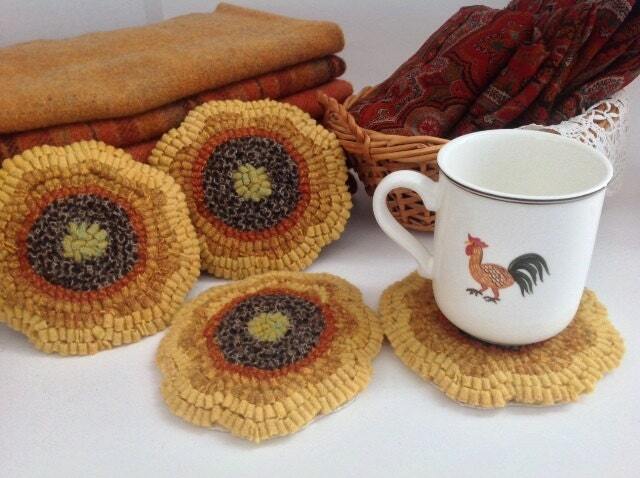 This listing is for the rug hooking KIT to hook my "Sunflower Mug Rugs". 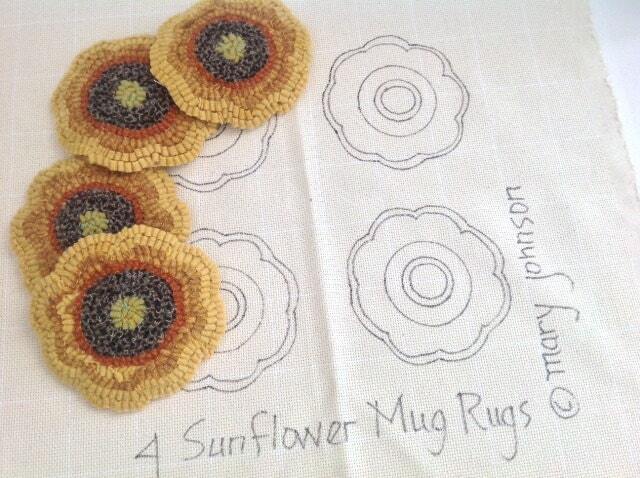 These four sunflowers measure approximately 5" x 5" each and are hand drawn on the backing fabric with 4" inch borders to make it fit on most rug hooking frames. The outside raw edges of the backing fabric have been serged to prevent raveling while hooking. 3) Wool Pieces for the back of mug rugs. If you order the wool pack only, it will come uncut or uncut, as you specify, and will include wool pieces for finishing the backs. 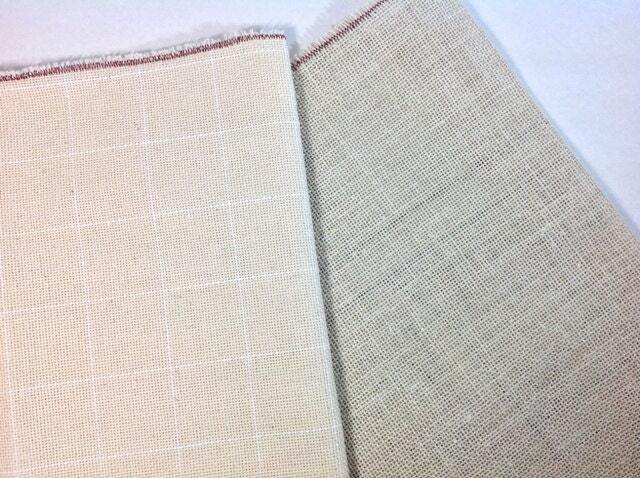 Wool fabrics may vary slightly from photo but will be in the same color range. 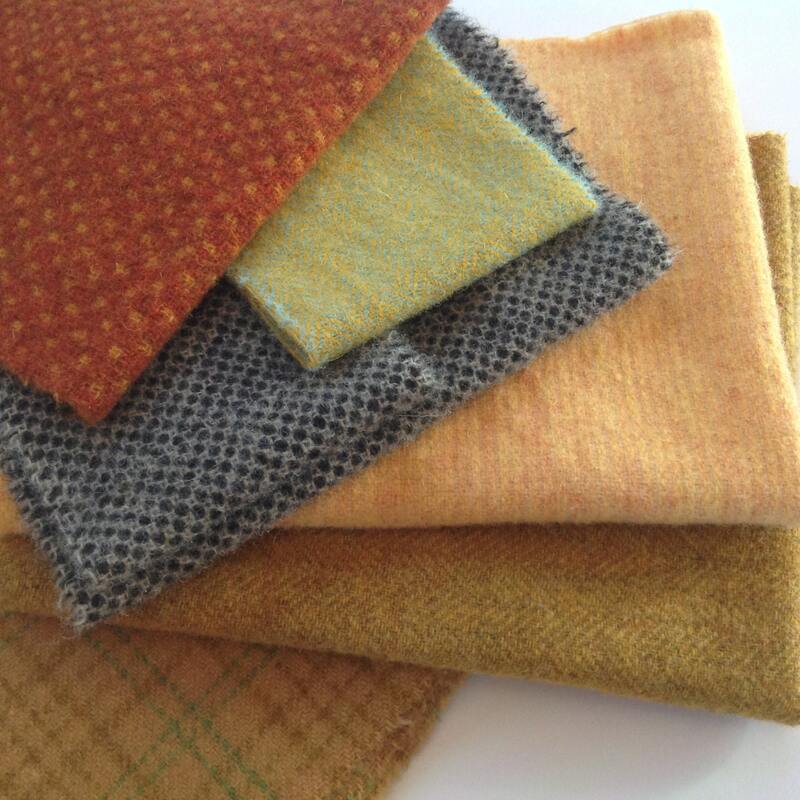 Current wools include those in the third photo. Hooks are available in my Hooking Supplies Section. If you would like to order the PATTERN only, see listing J821. © 2016 Mary Johnson. This design/pattern may not be duplicated. Purchasing this pattern give you permission for one time use. Thank you for respecting copyright laws and supporting my small business. 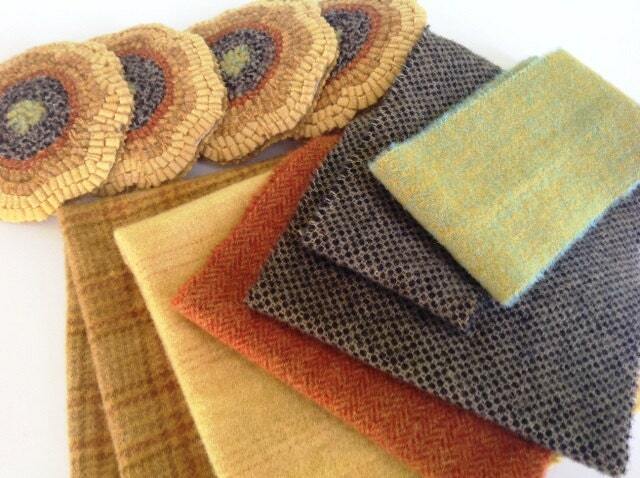 the quality of the wool is top notch and the instructions are very clear and easy to follow. Love this kit! Thank you! !